We have arrived in sun, wind and blue skies. The stormy crossing of last night rocked us to sleep. Sunblocks and lubricants applied. Quick breakfast and we are off! 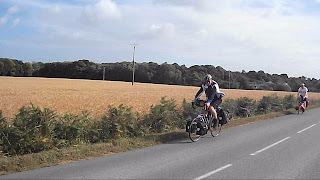 Heading away from the port at 8.45, its a long, slow-ish climb followed by a rapid descent - keeping company with some heavy traffic - before crossing the river Rance. High coastal winds almost lift the bikes into the air as we pass over the dam. The tidal power station, the first of it's kind (built in 1966) is impressive but not in operation. Apparently, the 24 turbines provide France with 00.012% of her electricity. We reckon James Penny's little legs could do better than that, if he could be harnessed to the grid and maintain his top spinning form for more than 2 minutes. Jeff directs us off the busy D168 and onto the quiet backroads. Almost immediately heading up a steep gravelly path we pass a snail, whose shell is as big as a table tennis ball. 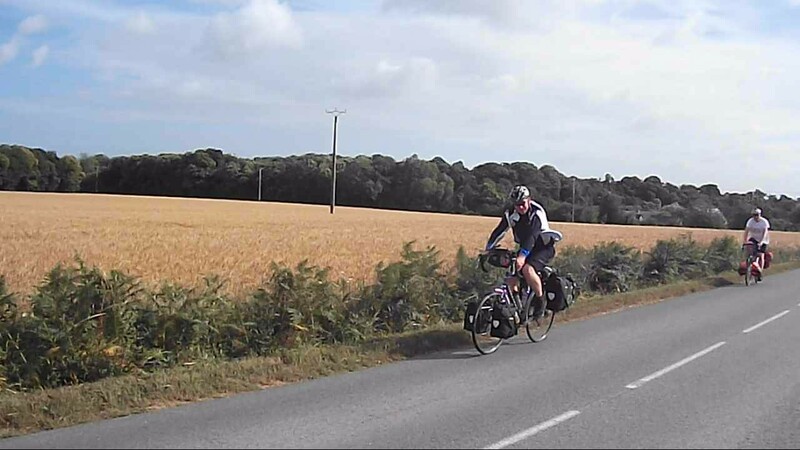 Mikes back plays up on a climb later, so Jeff finds a lake and a 'green way' cycle path for some flatter, more scenic pedalling. 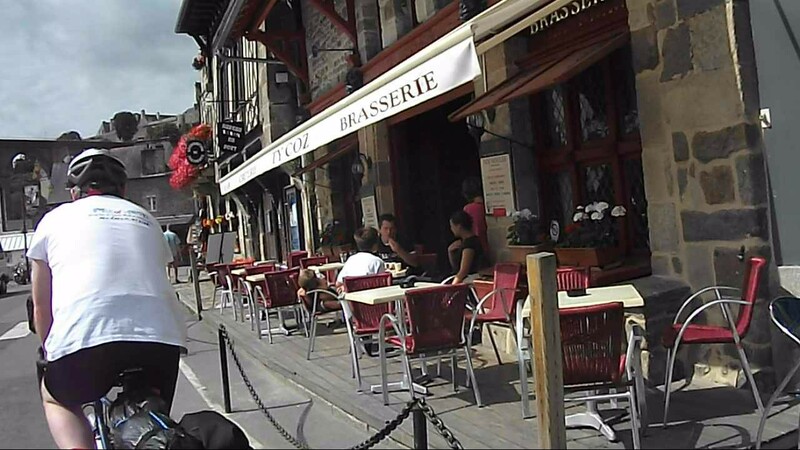 Reaching Dinan, which looks very like a small cornish estuary village, we locate a cafe on the east bank and attempt our first communication en France. Jeff, our most experienced French speaker, secures three grande cafe au laits. Mike asks the waitress if she can please 'remplissez' his bidon. "What with?" she answers in English. "Wine? Coffee?" Mike replies with, "No...er, eau?" Those Michel Thomas CD's have come in to their own at last.